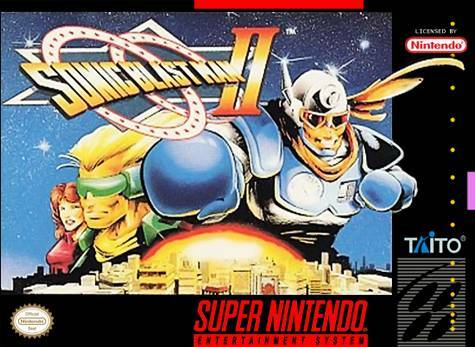 Sonic Blast Man II for Super Nintendo allows you to be Sonic Blast Man and his two companions to clash with Yafu and his minions in an effort to save the Earth. You can play as any of the three characters Sonic Blast Man, Sonia the Sonic Blast Girl, or Captain Choyear the cybernoid as you fight the good fight. Using a full arsenal and a slew of special moves, you'll have the upper hand as you take on the best warriors Yafu has to offer. Through five stages of hand-to-hand fighting action, you'll get closer and closer to Yafu with each victory.